Mild steel understructure with stainless steel weighing platform. Adjustable tilt display for flexible viewing angle. (4) adjustable leveling feet with level bubble. Flexibility with column mount, wall mount or desk mount capability. Gross/Tare/Zero and multiple hold functions. Count & Accumulation weighing modes. AC adapter / charger and built-in rechargeable battery. RS232 port for printers, computers or scoreboards. Three LED colored lights for quick and easy checkweighing - Yellow (over) / Green (accept) / Red (under). Keypad: [On/Off], [Hold], [Accum], [Units], [Count], [Tare], [Zero], [Print]* *Print key requires optional printer or cable to connect to computer w/software program. 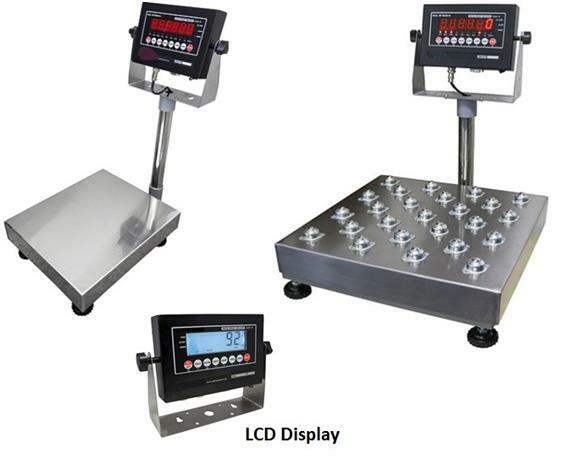 Choice of LED or LCD display. 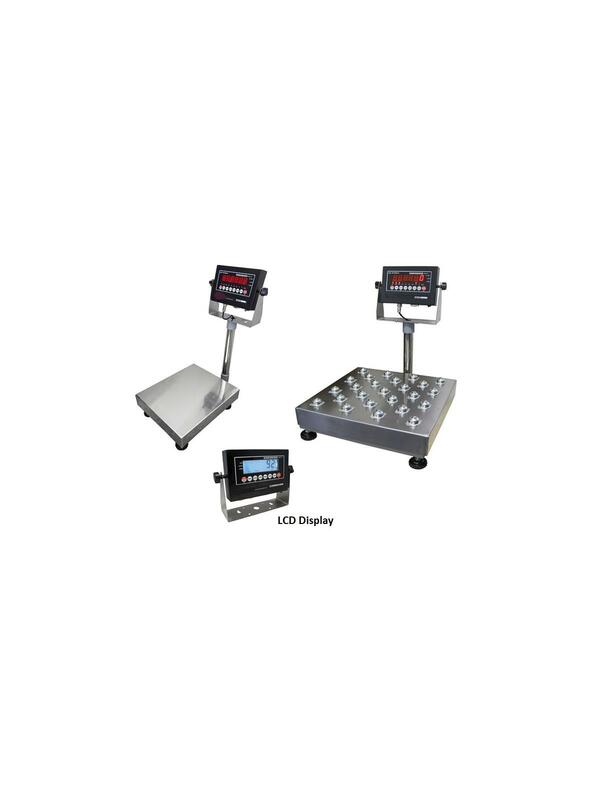 LED display, weighing modes: lb./kg. only (A suffix model). LCD display, weighing modes: lb., kg., oz., g., (B suffix models). FOB Shipping Point. Models with Stainless Steel Ball Transfer Tops includes display and Extended Length Column. 500 lb. x 0.1 lb. 250 kg. x 0.05 kg. 20 x 20 x 4.25"20 20 4.25"